The Xiaomi Huami AmazFit Stratos is the GPS enabled sports smartwatch with 5 days of battery life. Featuring an LCD 1.34” display with 2.5 Corning Gorilla Glass, the Xiaomi Huami AmazFit Stratos is your go-to daily companion. Touch controls, notification at a glance, and high-tech sensors for accurate activity tracking, the Stratos does it all. Run phone-free with onboard music storage, while tracking key metrics like pace, cadence, distance, time, heart rate and more. Choose from activity and sport modes for: Outdoor/Indoor Run, Trail Run, Walk, Outdoor/Indoor Bike, Elliptical and more. Follow AmazFit’s running training plans for beginners, 5K, 10K and marathon runners. 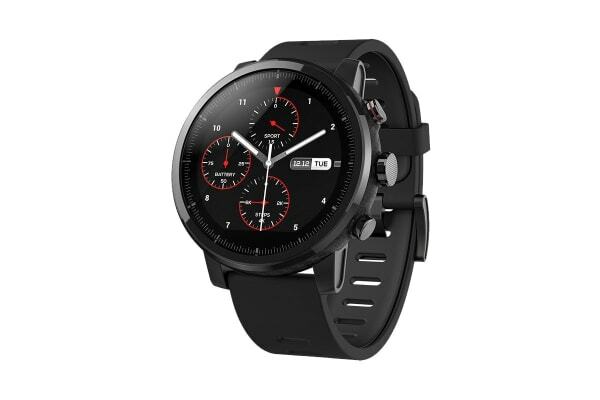 Customise your Xiaomi Huami AmazFit Stratos watch face by uploading personal photos and receive all your calls, texts, emails and app notifications via the always-on display. 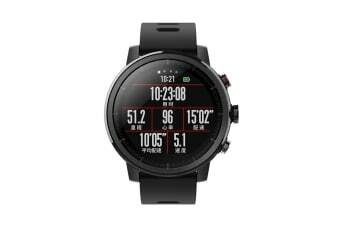 All data is synced and available in the Amazfit app. 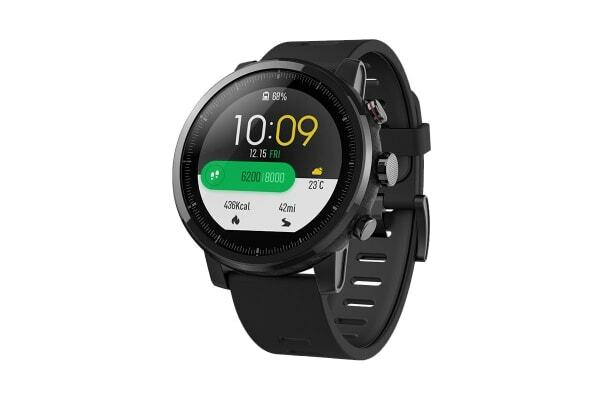 Amazfit Stratos watch features smart notifications and vibration alerts for calls, messages, and emails. It gives you direct access to live weather forecasts and doubles as a stopwatch, compass, alarm and activity monitor. Stratos automatically tracks your daily steps, distance, calories and sleep. The ceramic bezel is durable and resistant to scratching. The always-on display is easily readable even under bright sunlight. The Stratos is 5ATM water resistant, making it suitable for swimming, rain or snow, diving (up to 50m submersion), and snorkelling. Stratos allows you to listen to music wherever you go. With Bluetooth and Wi-Fi connectivity, Stratos can be paired with wireless headphones or speakers. Run phone-free or blast your favourite hits, without using up your phone data. The Stratos watch interface and companion apps are available for iOS and Android.